Can Someone Explain the Mandela Effect, Please? 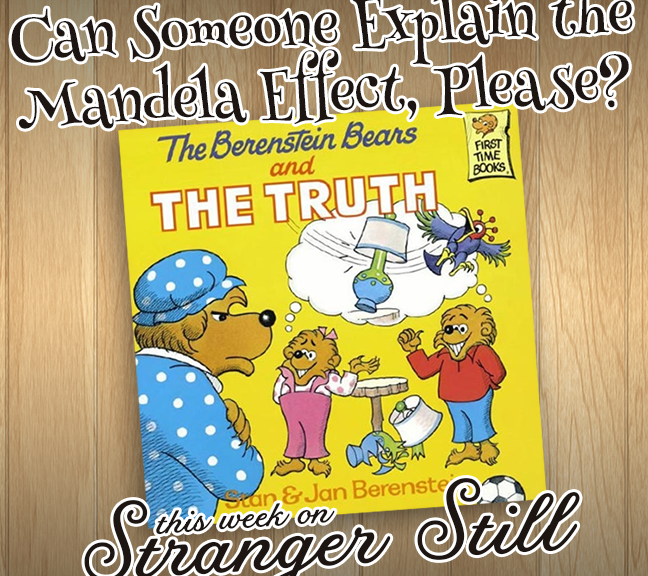 In this episode, we answer the question, “Can someone explain the Mandela Effect, please?.” Everything you know about your childhood is a lie. At least, that’s what some people on the internet believe. Do you remember the Berenstain Bears or the Berenstein Bears? What about the Looney Tunes or the Looney Toons? We’re going get to the bottom of it, and figure out why so many people don’t remember things correctly. Join us in learning about collective false memories and laughing along the way! Do Fidget Spinners Help Your Concentration?